OrientXpress Casino is a new online casino in the online gambling industry. This new online casino is owned by Equinox Dynamic, and it promises each and every player will experience the outstanding gambling adventure like any other popular casino on the internet. The online casino powered by some of the popular casino games provided by some of the well-known software providers, including GameArt, NextGen Gaming, NetEnt, Aamya, and Thunderkick. The casino is also gaining popularity because of its generous welcome bonus. The new players can get around 250 percent welcome bonus match and they can earn up to 500 Euros, and also they can enjoy higher roller welcome and the no-deposit bonus of 5Euros upon registration. The OrientXpress Casino is licensed under the law of Curacao, and the casino games are also available on mobile phone. 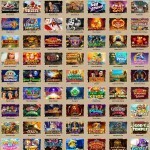 The OrientXpress also offers freespins instead of bonuses to the new players. These free spins permit you to play some of the selected games on the website for free with the prospect to withdraw any winning that you made. Most of the times free spins are rewarded as a part of loyalty program for VIP. Any winnings that you earned from the free spins are transferred to your bonus funds. To withdraw the funds, you must bet these funds forty-five times. The OrientXpress online casino offers a large range of slots to players so that they can select their favorite games to play. The games are provided by the most popular providers in the industry, and the games are listed in different categories so that the player can find their favorite casino game easily. The categories include the huge list of providers under the video slot list, and also you can find the list of live casino games, Card and Table games, Video Poker, Classic Slots, Micro Bet, Scratch Cards, Action Games, and VIP games. Every player can choose from a different variety of video slots at OrientXpress Casino and the slot games are provided by the popular providers like Pragmatic Play, NextGen Gaming, NetEnt, Amaya, Elk Studios, 1x2 gaming, GameArt, and more. 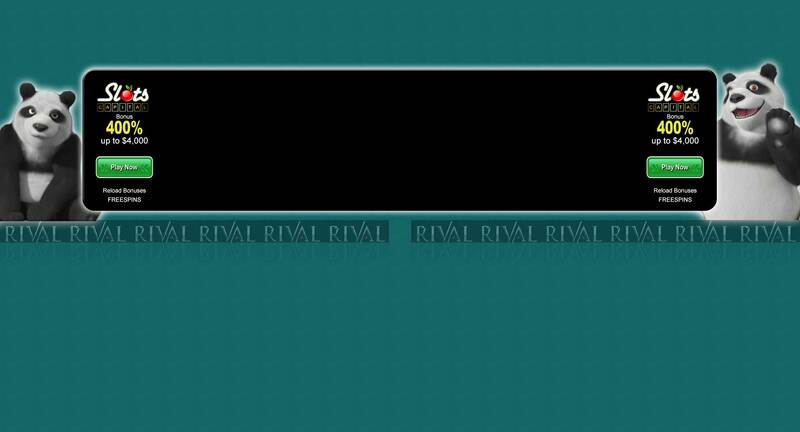 Games can be categorized easily by each provider or it allows the user to use the built-in search feature to find their favorite games easily. The players can play interesting games like Motorhead Slot, Crystal of Power slot, The Rift, and the Starburst slot. The casino also provides branded games such as Green Lantern, Superman slot, and Batman slot. The individuals who love table games can enjoy playing a large range of table games such as blackjack, roulette, and many more. Also, you can find a large selection of video poker games such as Jacks or Better, Deuces Wild, Joker Poker and more. If you are looking for more variety, then try your luck on an amazing selection of micro bet games and scratch cards. OrientXpress Casino offers a complete range of live casino games provided by the famous Extreme Live Gaming. Players can enjoy a different variety of live Roulette, blackjack, baccarat, and other live casino games. 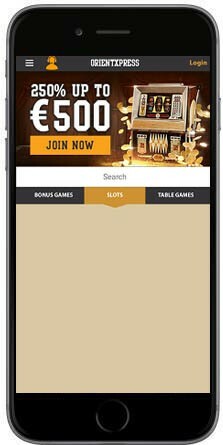 The online casino also offers mobile games so that players can choose to play their favorite casino games on the go. 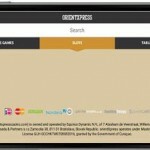 The players can play the OrientXpress mobile games through their Smartphone and tablet devices. 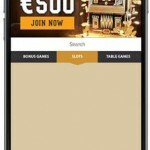 The players can also be able to play a range of casino games accessible on the desktop. The OrientXpress casino offers the best payment methods for deposits and withdrawals. It offers different options that include Maestro, MasterCard, and Visa are eminent options. Also, it allows you to use e-wallets that include Skrill and Neteller, and other payment options include Trustly, Sofortüberweisung, and ecoPayz and you can select crypto currency Bitcoin to deposit if you want. You should know that the minimum withdrawal of 100 Euros in effect that is much higher than several other online casinos. The OrientXpress Casino is regulated and licensed by the law of Curacao. The best casino is the one that offers a fair and safe environment for the players, and that is what you can expect from OrientXpress casino offers to players. The casino has various security systems in place to make sure that the players’ personal data is absolutely safe. It uses 128-bit SSL technology to make sure all the data is protected. Also, the online casino gives equal importance to fairness as the games are carefully audited and examined regularly. The OrientXpress online casino is not available for some countries that include Albania, Afghanistan, Cambodia, Angola, Guyana, Ecuador, Indonesia, Hong Kong, Iraq, Iran, Israel, Myanmar, Lao, and more. The OrientXpress offers the best customer services and the players can reach the team members through email, phone, or live chat. The service is available 24/7 and the players can get the support team for different languages, including German, French, English, Norwegian, Spanish, Russian, etc. The VIP customers can use the special email service and the team will give first priority to provide answers for the queries. The OrientXpress is one of the best and new online casinos and the players get the best impression because of its outstanding gaming collection, this online casino absolutely delivers their intuition. The casino offers the best customer support and a wide game selection, just get registered on the online casino and start playing your favorite games.